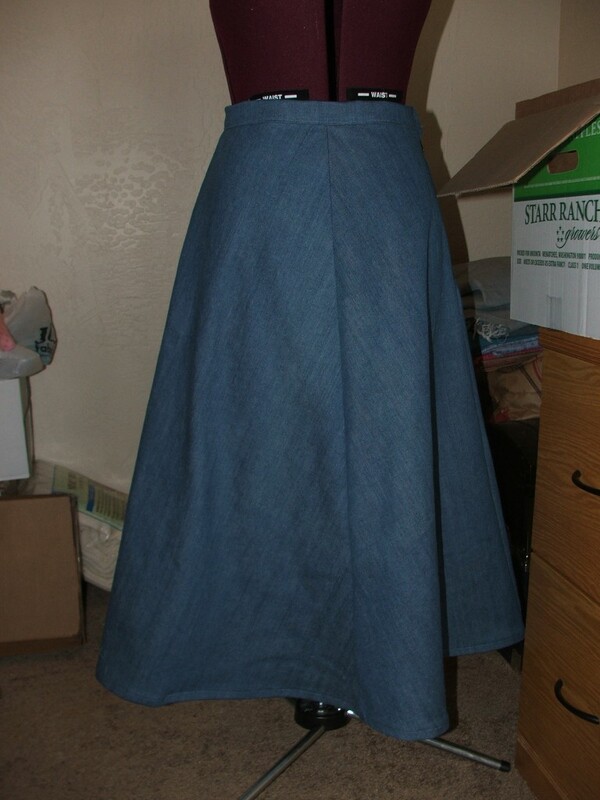 A denim skirt for one of the girls in church. 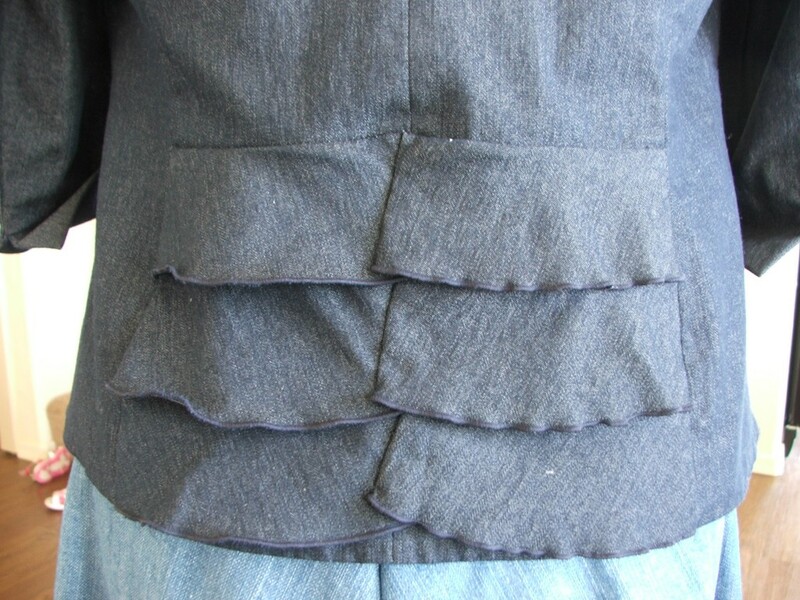 Altering a jacket so that the ruffles don’t stand out so much. 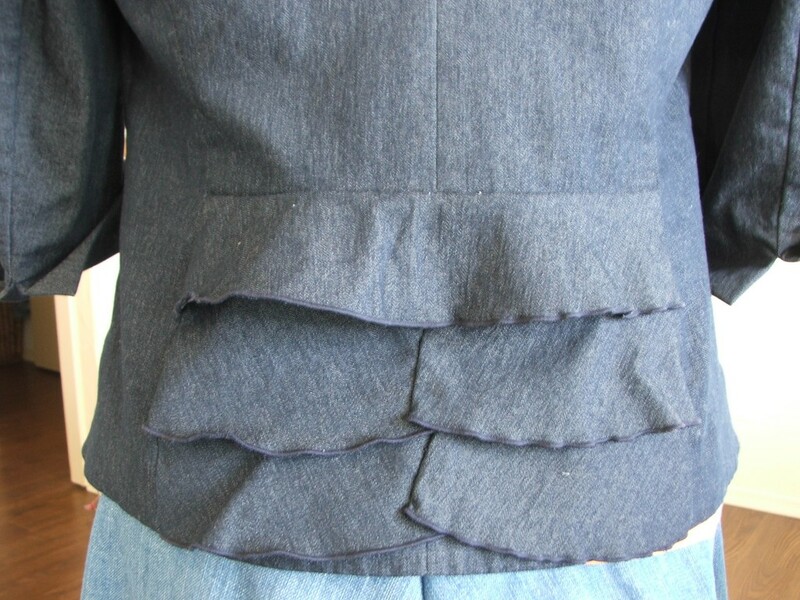 The finished look of the ruffles. We’ll see how I finish up. Will I be able to keep up, or will I burn up and fizzle out in the atmosphere? How’s the 52 weeks going? I saw someone else that was doing that same thing. I love the skirt, btw.